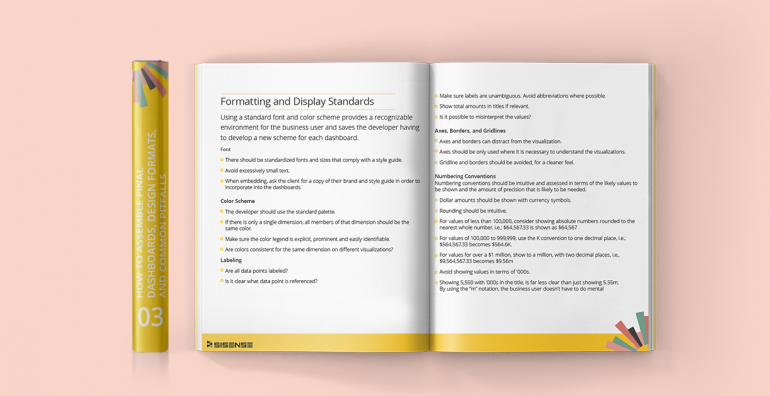 Cut your design time in half by using the tips in this paper to modify the way your dashboards are presented. This paper keeps you on track to delivering full-spectrum dashboards while avoiding the petty, nerve-racking pitfalls that hinder productivity. Learn how to assemble final dashboards that will ‘wow’ your users with meaningful, visually displayed business insights. Use this paper to make every design choice contribute to the goal of creating comprehensive dashboards.